Looking ahead to Xavier, I've got to be honest. If you look purely at their record and their schedule from this year, it's easy to come away unimpressed. Their best win is arguably at Florida, which barely made the tournament themselves. A closer look, though, reveals tight losses to good teams such as Baylor (5), at Wake Forest (4), at Temple (5), and Richmond (4). Tight losses isn't exactly what teams strive for, but they were able to hang around some decent teams. Playing against a top team in Kansas State they were soundly defeated by 15 on the road. But you should have at least some fear in this game. First, there's always the chance Pitt doesn't play its best. We've seen that numerous times this year - sometimes Pitt can come away with a win and others it cannot. Xavier averages about 10 more points than Pitt offensively, but also gives up about 7 more on defense. A year ago, Jordan Crawford watched Xavier play Pittsburgh in the NCAA tournament from his dorm room in Cincinnati. Come Sunday, the Musketeers' junior will be the focal point in a second-round rematch between the two schools. "It was just me, Mark [Lyons, who was red-shirting], and Dee Dee Jernigan from the women's team watching on TV," recalls Crawford. "That Pitt game hurt me when we lost." But the Musketeers' offensive rebounds- they outscored the Gophers 20-8 on second-chance points - helped them survive 21 percent shooting (9-for-42) in the first half, which ended with a 26-26 deadlock. I'd like to call these teams mirror images of each other, except that they're really not. While they have some similarities, Xavier scores more. A lot more. They average about 80 ppg, good for 9th in the country. And oh yeah, you've got the star guard factor, which seems to do Pitt in quite a bit. Xavier's star player is Jordan Crawford - a sharpshooting sophomore who went from a solid contributor as a freshman to the team's best player and a decent three-point shooter. Sound familiar? Truth be told, he's better than Ashton Gibbs and has been more consistent this year. He also has the ability to take on more of a scoring load than Gibbs and has really only been held in check twice all season (at Marquette and at Fordham). By the way, yes, it's THAT Jordan Crawford who dunked on LeBron at his camp last year. Crawford had some kind of first game against Minnesota to help Xavier advance to the next round. 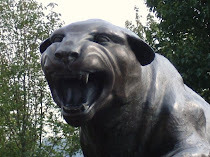 So what does Pitt have in its favor? Well, this isn't exactly the same team as last year. None of the players contributed significantly last year with the exception of center Jason Love - and he was a role player to a degree averaging about 7/6 per game. Gone are starters Derrick Brown (NBA 2nd Round Draft Pick), B.J. Raymond and C.J. Anderson, who contributed more than 50% of the team's total offense. But like Pitt, they've had success even with these losses. Love, Jamel McLean, and Terrell Holloway aren't stars, but they've all significantly increased their minutes and each has virtually doubled his scoring average over last year. Heck, they even lost their coach and didn't miss much of a beat, record-wise. As much as I don't like Pitt facing star guards, Pitt is fortunate in that respect to a degree as their best defender is a guard. Here's hoping a healthy Jermaine Dixon can keep him in check, at least somewhat. And while that offense is scary in that they score so much AND spread the wealth a bit, I don't see Pitt giving up that many points. Pitt will force them into their tempo and I would assume, control the score a bit more. Plus, A-10 defense is not, by any stretch of the imagination, Big East defense. Minnesota, a solid defensive team and 62nd in the country in scoring defense, held them to 65 points, 15 below their average. Pitt (32nd in the country) is even better defensively than Minnesota. So what do I expect? I'm not too sure. I have a hard time getting by the fact that Xavier could not beat teams like Marquette (neutral court) or Wake Forest (on the road). Those aren't bad teams, but Pitt beat Marquette on the road and I'd fully expect them to beat Wake Forest. Plus, the fact that they have not even one signature win despite several chances makes me question if they'll be able to beat Pitt. 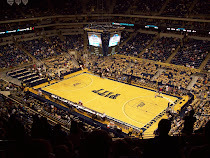 Pitt has beaten the likes of Syracuse, Villanova, and West Virginia. I've got to think that if they play a good game, they should win. I'll go with Pitt by eight. Actually I like Pitt by double digits in this one. Pitt has to play a good game, if Brown pulls his disappearing act it could be a nailbiter. Hopefully they get bye X, because I was planning on going to Salt Lake City to watch them in the sweet 16. Pitt is a one point underdog, I jumped on this!!! I'm expecting Pitt to win, but I'll be surprised if it's by double digits - hope you're right, though. I'd much rather have an easy win than have a nailbiter.